The wonderful thing about these books, which for me is a big-time measure of children's book quality overall, is that adults will enjoy these books just as much as the kids. The list runs the gamut of music, dance, drama, and visual art. The book cover tells you all you want to know. 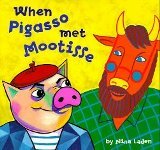 A lovely and fun book. I stand self-corrected: A great children's book.My sister Linda and her son Ian, gave this book to my daughter Sophie. Linda is a veteran arts teachers in a Brooklyn public school. An inspired book, one that was given to me as a gift by The American Composers Orchestra, on whose board I sit, upon the birth of my daughter. It's a detailed and touching story of the extraordinary life of the the father of experimental music in America. Another absolutely stunning book, that is equal parts title song and bits and pieces of the life and legacy of Woody Guthrie. And of course, the book retains the original lyrics. Nothing censored. So, if you're one of those folks with an axe to grind about arts and social justice, this book is not for you. Hey again, Bob Dylan fans! Take R&H classics and combine them with sweet illustrations by Renee Graef. Sounds like a nice arts integration project. My dear friend Nina Jaffe has written this wonderful book that should be on the shelves of every art loving parent and child, everywhere! Once upon a time, I thought this book could be the basis for a children's drumming movement. I still do. Ask Nina, she will tell you about my vision of drum sets and refrigerator magnets for kids. And, don't forget to check out Nina's series of children's books based upon Wonder Woman! A great entry point for contemporary poetry for kids. Beautifully illustrated with a beat you can dance to, as they used to say on American Bandstand. 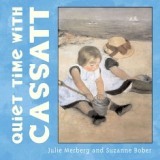 I just love this book, one that is particularly good with the youngest of the younger generation. And, it's not just Warhol, not that there's anything wrong with that. This book is beautifully put together. A very sweet and thoughtful approach. And, the reproductions are surprisingly good. 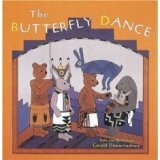 This books is a captivating story of a Rabbit that travels to perform the traditional Butterfly Dance. A beautiful entry into the Hopi Culture. Crafts and Modern Art, presented to you by Todd Oldham. Brilliant.